Bausch + Lomb ULTRA contact lenses with MoistureSeal technology - helps prevent lens dehydration that may be caused by reduced blink rates. 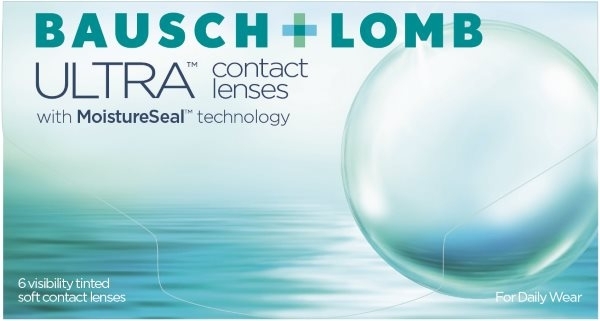 Bausch and Lomb's Ultra lens is made from a new silicone hydrogel material shown to retain moisture for a full 16 hours. The unique silicon structure and wettable lens surface provide superior end-of-day vision for digital device users. In a study with 327 patients, more agreed that Bausch + Lomb ULTRA contact lenses provided better comfort than the leading silicone hydrogel lenses.